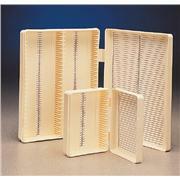 …hinges. 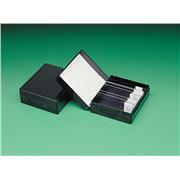 The inside is compartmented to accommodate both the slide and cassette in their own protective space. 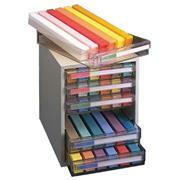 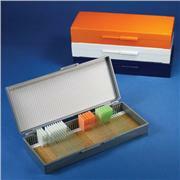 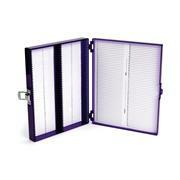 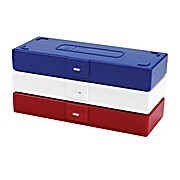 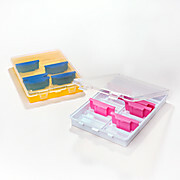 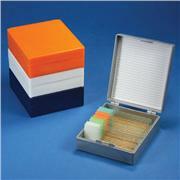 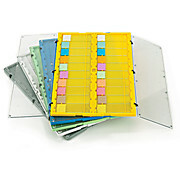 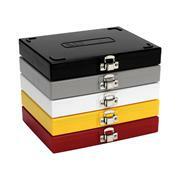 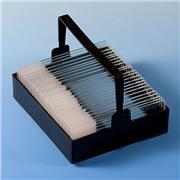 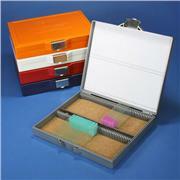 Slide-Sette Saver™ is available in eight different colors to allow for easy organization by tissue type. 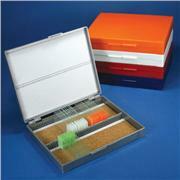 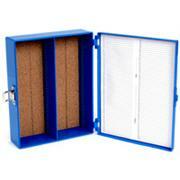 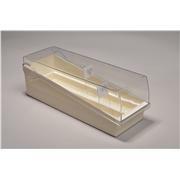 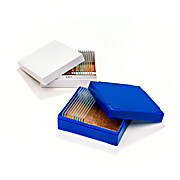 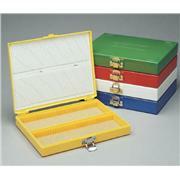 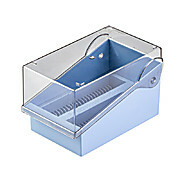 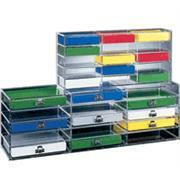 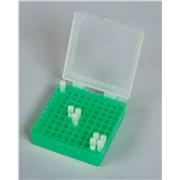 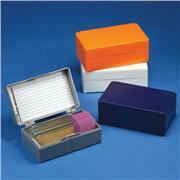 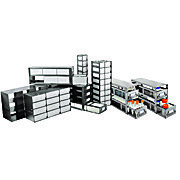 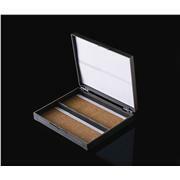 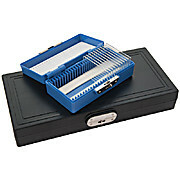 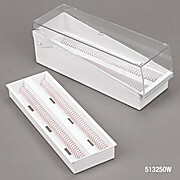 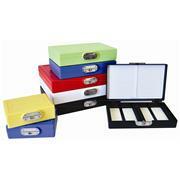 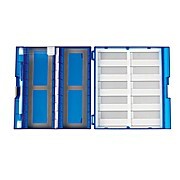 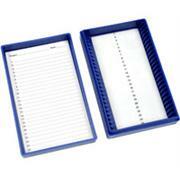 Storage boxes, accommodating twenty savers each, are also available.